Well we made it! January 31st and we are at the end of my personal project of taking a photo a day for all of January. I hope you didn’t mind all the photos and it was nice to pick up my big SLR again after having closed my photography business mid last year. 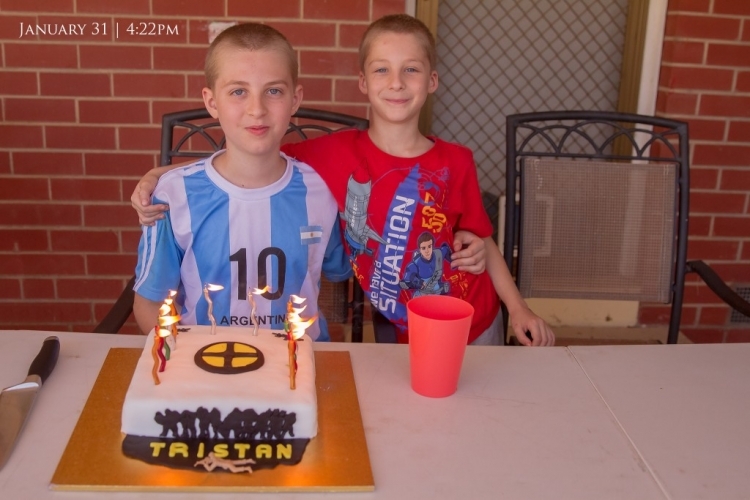 Here is my eldest with his Team Fortress 2 themed cake and his younger brother as we had family over to celebrate his birthday. He said it was the best birthday cake ever!